The ancient science of astrology deals with the calculation of planetary alignment and transit of the same along with zodiac signs in the orbit. Thus, when a screenshot of the same is taken, it forms the horoscope or birth chart of an individual. This screenshot of horoscope becomes the doctrine for their future prediction and analysis. Therefore, it is very important to correctly capture this screenshot, else one should be adept to even rectify the same. Hence the mathematical part of astrology is given importance, first. Once this is correctly derived, then the predictive part comes into play. Therefore, the students who wish to pursue astrology must get into the nitty gritties of astrological calculation and then into prediction. Thus, the institute of Future point which has been one of the pioneers in offering astrology courses, is ensuring detailed learning and making various concepts meticulously clear to the students. In fact, we at Future Point have been offering astrology courses for the past three decades and of late have been decimating the same through online medium too. 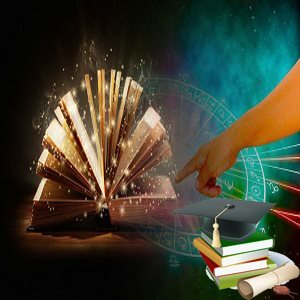 These courses are specially designed and the students pursuing the same will be blessed with the knowledge and wisdom of our learnt astrologers. Thus, interested students can learn astrology online through Future Point’s famous and eminent astrology institute in Delhi. Anyone who is interested in pursuing astrology but unable to physically visit our institute in Delhi can enrol in correspondence courses. Thus, these courses are specially designed where the students can pursue the same by connecting with us through Skype, Webinar or correspondence course with online support. The course wear is accordingly designed. Please find a gist of the astrology courses offered by our institute. Jyotish Ratna: This course is designed to the amateur students who wish to pursue the course in astrology. The course is designed in such a way that the topics covered will include the comprehension of Fundamental calculations in a horoscope of Janmapatri, Planets in different signs and houses, predicting the same using horoscope and analysis of the horoscope for match making. The duration of the course will extend to maximum six months. Jyotish Bhushan: This is a higher-level course where apart from what is covered earlier, a complete analysis of horoscope is taught. The course is designed in such a way that a native can use this knowledge to predict and match the two horoscopes independently. Duration of the course can vary from 3-6 months, depending upon the batch that one would join. Jyotish Prabhakar: This is a very comprehensive course covering the above two topics along with the knowledge of Vastu Shastra, horary astrology, Varshaphal or Tajik astrology and in-depth astrological knowledge on career, business, wealth, marriage and children etc is taught. Duration of the course can vary from 3-6 months, depending upon the batch that one would join. Jyotish Shashtracharya: This is the last leg of astrology which is meant to include many more topics such as K.P astrology, Jaimini System, Lal-Kitab, other than the topics mentioned in the above syllabus. This will also include courses in Palmistry and Numerology, along with a brief introduction on how to predict the future of a country, weather forecasting and the world affairs. Duration of the course can vary from 3-6 months, depending upon the batch that one would join. Jyotish Rishi: This course is for those who know astrology however have not been adept at making forecasts. Now, in this course, all the topics upto Jyotish Shashtracharya will be covered and particles will be given importance. Duration of the course can vary from 3-6 months, depending upon the batch that one would join. Jyotish Maharishi: This is a course which is equivalent to Research in astrology, in other words a Phd in astrology. In this, the researcher will be expected to collect the data and undertake research for the same with the help of the theories described in the ancient text and to formulate new principles for future reference. Duration can be from 1-3 years, depending upon the pace at which the researchers would complete their thesis. To know more about the courses interested students can reach out to us at www.futurepointindia.com or mail us at mail@futurepointindia.com. Future point is a team of experts and learned astrologers and have carefully designed the above special courses for the interested students.